From bowls to half pipes, from skate parks to backyards, Pro-Tec has spent the last 4 decades listening to the needs of skaters all over the world, in order to create the best protection available, period. A 2-stage soft foam with Dri-Lex construction provides great comfort and protection with a HDPE Flex Spitfire logo graphic shell. 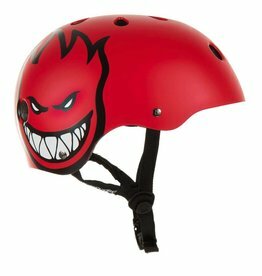 When you let the most interesting man in skateboarding design his own helmet, you end up with the most unique helmet in the game. The new Gonz Full Cut is as original as the man himself. The Pro-Tec Certified Rubber Helmets are a great helmet to have. These helmets are priced very well, and offer more protection than what is paid for. 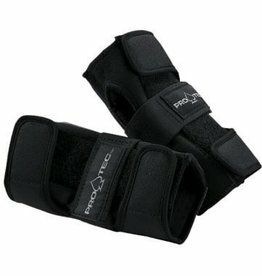 The Street Skate Wrist Guards from ProTec feature an ergonomically designed splint that comes with full wrap straps to provide the ultimate in palm protection and wrist support without compromising your range of motion. When two of the most iconic skate brands collaborate, you know the results are gonna be epic. The Cosmic Matter is a trip of a helmet—with a one-of-a-kind injection mold that means every single helmet will have a slightly different pattern. The Pro-Tec Classic Skate draws its line of design right back to our original helmet model.